Now it’s not just your grocery shopping that earns you Pick n Pay smart shopper points, you can earn points on flower and gift shopping too. Pick n Pay and NetFlorist have teamed up to help you get something of your own back when you need to earn some brownie points with your nearest and dearests. Each time you shop online for a thoughtful present to mom or a romantic bouquet of flowers for the wife you’ll be earning smart shopper points. Simply enter in your smart shopper card number when you check out your purchase and your points will be loaded onto your smart shopper account. 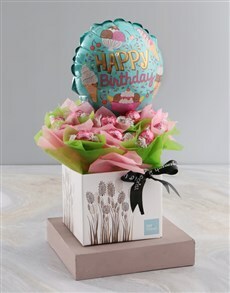 Whether it’s a special occasion when you are faithfully carrying out your holiday gift giving duties or a general occasion just to say an ‘I’m thinking of you’ – the NetFlorist bunch and Pick ‘n Pay have got you covered. Please note: Pick n Pay smart shopper points to be loaded within 10 working days. See more Pick n Pay terms and conditions here.